Our today's life seems like a real racing and like a racing it is lead by two fundamental principles – do your best and as fast as you can. That is why contact lenses is a great alternative to bulky and outdated glasses, which can not be compatible with the image of modern and successful person anymore. Active person used to have time for everything: office work, walking outdoors, dates with sweethearts, visiting cinemas and theatres, doing sports and many other things, which are rather difficult to push into one sentence... How can we find time for all these doings and feel comfortable at the same time? Contact lenses have many advantages over glasses. Have you ever seen a person, who is swimming or doing sports with glasses on, watching 3D – movies or dancing in night club, wearing sun glasses or, at least, walking in the rain or snow? Probably your answer will be “No!” In contrast to glasses, doing above-listed things and wear contact lenses at the same time is not really a big deal. Contact lenses give you a great possibility to lead an active lifestyle and enjoy all colours of the world! Aesthetically beautiful – you can finally get rid of offensive nicknames that you might probably earn in deep childhood and try on any images you want to feel yourself satisfied with your new look. Comfortably – now there is no need in adjusting glasses constantly. Contact lenses is the way to spend all your time on favourite activities without annoying pauses, which have become the part of your everyday life and maybe the only bad habit that you ever had! Useful – contact lenses are worn on the cornea and do not distort visual perception, unlike ordinary glasses, which creates the distance between the glass lens and your eye. Originally – coloured contact lenses can become an integral final part of your personal image. Moreover, modern contact lenses are very comfortable in wearing. Nowadays manufacturers offer a really great assortment of contact lenses for every taste and budget, so you could find the one that will suit you most of all. 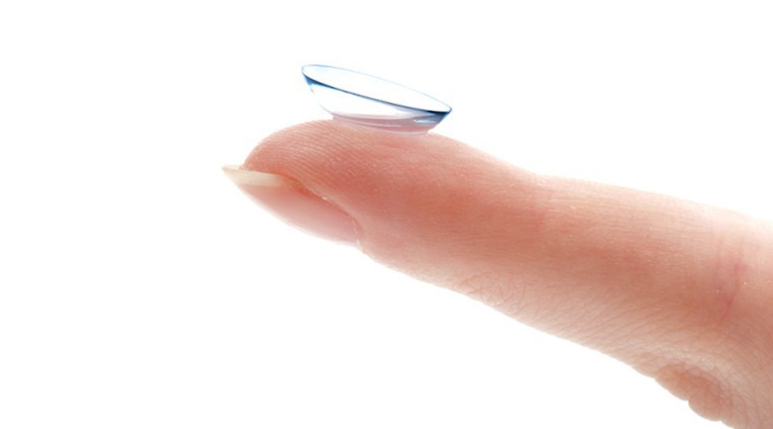 If you decided to buy contact lenses for the first time, you need to consult with professional ophthalmologist. He is the only person who can check your eyesight in the best way, specifically it's structure, amount of lacrimal fluid and degree of complexity of eyesight defect. All measurements are taken by special equipment and allow you to choose contact lenses, which will comply with you individual parameters in the best way. After you have done with your choice of contact lenses, it is very important to consult with your ophthalmologist constantly, especially for the first time, because exactly during this period of time the treatment process needs all your attention and supervision of qualified specialist. Make an apointment with your doctor after one, three and six monthes after beginning of wearing. Further you can do it from time to time, but not less then once a year. Only if you follow this regime consciously and responsibly, the process of wearing of contact lenses will be able to change your life qualitatively. Get acquainted with classification of contact lenses before visiting shop. It is pretty hard for novice in the world of contact correction to gain an understanding of all variety of production, presented in market. If you do not want to tangle in this seeming mess, it is necessary to determine for what purposes you will use your contact lenses. There are two basic purposes – medical and cosmetic. All contact lenses divide into two groups – soft and hard. The lion's share (about 90%) of all contact lenses manufactured today are soft contact lenses and so we will try to take a closer look on it. Multifocal contact lenses – are used for treatment from presbyopia. The main difference between them is in ability of hydrogel contact lenses to provide gas permeability depending on water content in it, and as opposed to silicone-hydrogel contact lenses whose gas permeability do not depend on it. Gas permeability of contact lenses designate as Dk/t parameter (where "Dk" is an ability of lens for oxygen transmissibility, and "t" is it's thickness in centre). It is not hard to see that hign gas permeability of contact lenses makes them more comfortable in wearing and more propitious for eye health. Dk/t of hydrogel contact lenses varies between 20-30 units while Dk/t of silicone-hydrogel varies from 70 to 170 units. What does it mean? It means that wearing time of contact lenses with higher gas permeability is much longer than of the others (you can wear it without taking off for a longer period of time). Continuous – can be worn for 30 days without takingoff. Daily – these contact lenses are put on in the morning and are thrown out at night. From the point of view of hygiene these contact lenses are the safest, because they do not need care, except cleanliness during the process of putting on and off. Two-week and monthly – these contact lenses have very high gas permeability and are soft at the same time, but because of the high water content they are not too durable in use. Three-month and traditional – gas permeability and softness of these contact lenses are significantly less than of two-week lenses, but their life duration is much longer. These contact lenses needs meticulous care anda big responsibility of it's owner. Continuous wear - silicone-hydrogel contact lenses, which can be worn for long periods of time without taking off. These contact lenses is prescribed only by professional ophthalmologist. Contact lenses of different types of wearing are required in keeping the rules of hygiene of both eyes and contact lenses. But there are general rules for all types of wearing, which you should know. Use only special cosmetics and apply it only after putting on your contact lenses. Novices always have the one same question: How to alternate contact lenses with eyeglasses? If you are just starting to wear your contact lenses, it is very imortant to wear it from 1 to 5-6 hours a day during the adaptation period to get used to it gradually and get rid of uncomfortable feeling of foreign body. At the rest of the time you can wear your eyeglasses as usual. More experienced users of contact lenses can allow themselves to wear eyeglasses only when they taking off their contact lenses to take a break from them. Another popular question that is worried novices is: Can contact lenses be worn with eyeglasses at the same time? For example, with sunglasses, anti-glare glasses and waterproof glasses? The answer is yes for all questions. Moreover, people which are using contact lenses are always advised to wear it along with complementary optics. Sunglasses, for example, will help to protect iris, pupil and skin around eyes from UV-radiation, what is especially important for women. Anti-glare glasses are also recommended for people, who wear contact lenses to reduce eye strain while working on the computer or driving a car. Waterproof glasses are very necessary for swimming in the sea or in the swimming pool. They will help you to protect your eyes and your contact lenses from water (you can hurt your eyesight and loose your contact lenses because of the water). If you have already known all, that was written above, you are surely have a need to buy contact lenses. You have come to the right place! Ecolens.ch is an online-shop of contact lenses with extensive experience of working all over Switzerland. Here you can find a great assortment of contact lenses for every taste, including coloured contact lenses and also fashionable "crazy" lenses. On the pages of our online-shop you will find contact lenses of such famous brands as: Acuvue, Bausch + Lomb, CIBA Vision, Maxima and many others! Take an advantage of buying contact lenses in our online-shop to enjoy life without glasses!